Ask 9 out of 10 passers-by and they will most likely maintain that circumstantial evidence is weak. And maybe one piece is, but I have been learning that there is POWER in the cumulative effect of multiple pieces of circumstantial evidence. My tutor is a cold-case detective, J. Warner Wallace. The only cases he works are cold murder cases that date back 10 to 30 years. There is no date beyond which one cannot be tried for murder in the state of California. A cold case is one that is old, unresolved and left untouched, gathering dust until someone decides to re-open it. 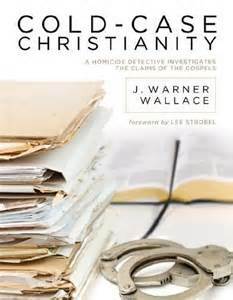 Detective Wallace recounts in his book about the ultimate cold case, the murder of Jesus Christ, Link to the book available at Amazon, how he has to instruct jurors on the 2 kinds of evidence. Most Americans have no idea that one can convict a suspect of murder on the basis of circumstantial evidence alone! But you need a lot of it. Here is a brief primer: There is direct evidence and indirect evidence. Inferences drawn from multiple pieces of indirect or circumstantial evidence (think 20-30) can add up to a powerful case against a suspect. In fact Wallace himself says his ONLY convictions have been in circumstantial cases. The standard for the burden of proof in such criminal cases is ‘beyond a reasonable doubt‘. Wait a minute! 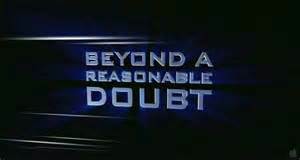 Think about what that phrase actually means – ‘beyond a reasonable doubt’. But the degree of proof the prosecution must provide is NOT beyond ANY shadow of a doubt. Doubt and uncertainty are woven into life. Where does anyone ever have 100 % certainty? The confidence the jurors must feel must be such that they can come up with no reasons to infer otherwise than that the suspect committed the murder. So the next time you hear someone denigrate circumstantial evidence, “Oh, that’s just circumstantial!”, push back gently. 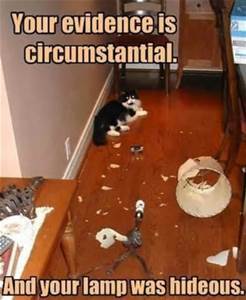 Ask: “What’s wrong with circumstantial evidence?” They probably won’t know how to answer. Most people tend to parrot, unthinkingly, what they have picked up, floating in the air! Question: what beliefs have you absorbed without examining them? ← Logical Gal and Evidence-Based Medicine – is there any other kind?